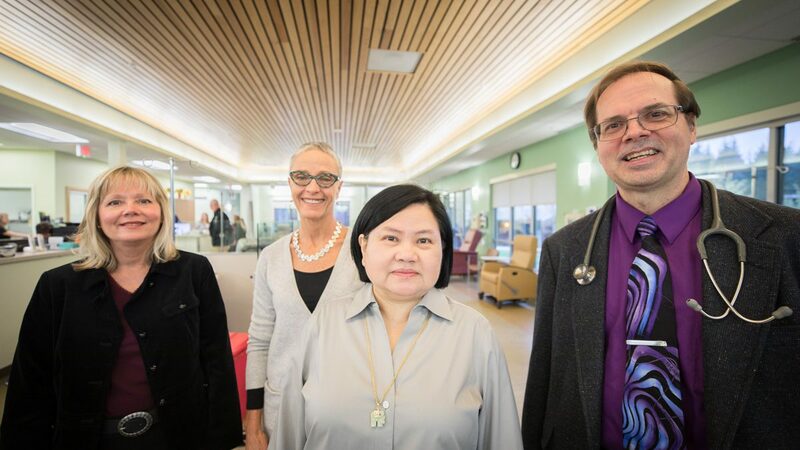 Bay Area Cancer Center is operated under a unique partnership formed between North Bend Medical Center and Bay Area Hospital. Our providers are dedicated to giving their patients world class treatment close to home. Our recently remodeled facility, located on the Bay Area Hospital campus, offers modern, sophisticated cancer treatment in a comprehensive, one-stop environment. With up-to-date facilities, board-certified physicians, and a professional, compassionate staff, we provide the same treatment protocols as much larger facilities.